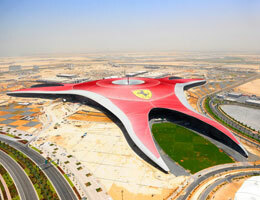 Specially for Ferrari fans out there! I was TOTALLY AMAZED when I first saw the preview on TV. 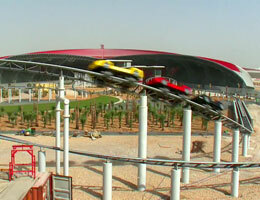 Ferrari World is a Ferrari themed amusement park on Yas Island in Abu Dhabi. The park is situated under a 200,000 square metres (2,200,000 sq ft) roof making it the largest indoor amusement park in the world. 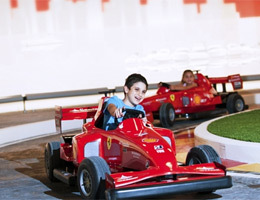 Ferrari World was due to open on October 28 2010, however it was delayed by a week due to the passing of Ras al-Khaimah’s leader. Though I’m not a die hard fans; but I do wish that I could have a chance to experience it.